Tal, from The Crafeteria, shared a beautiful diy play kitchen. Lisa, from Create Inspire, shared a gorgeous vanity transformation. Heidi at Sew.Craft.Create, shared her sisters baby shower. Kimberly, at Little Miss Kimberly shared how she transformed two t-shirts into a dress. 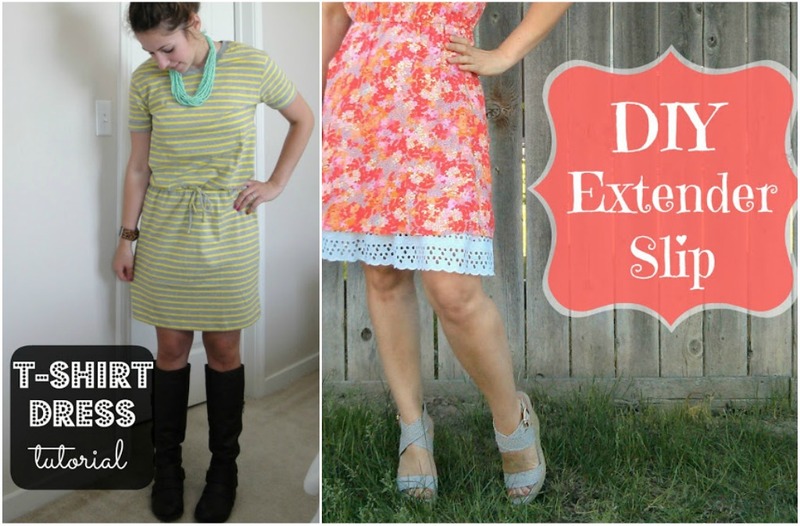 Jessica, at Domestic Bliss, shared a great idea for those too short skirts and dresses. Samantha, from Five Heart Home, shared her beautiful family gallery. Katie, from Upcycled Treasures, shared her Ship Wheel Wreath. Debbie, from One Day at a Time, shared her beautiful DIY mercury glass lamp. 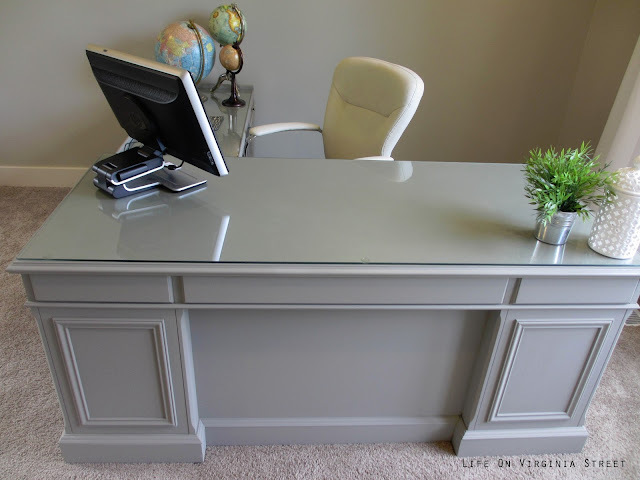 Sarah, from Life of Virginia Street, shared her gorgeous office desk makeover. Thanks so much for having me again this week. Hope you have a happy Sunday! Thanks for hosting -- I'm new to your blog and party and have added your party button to my sidebar. 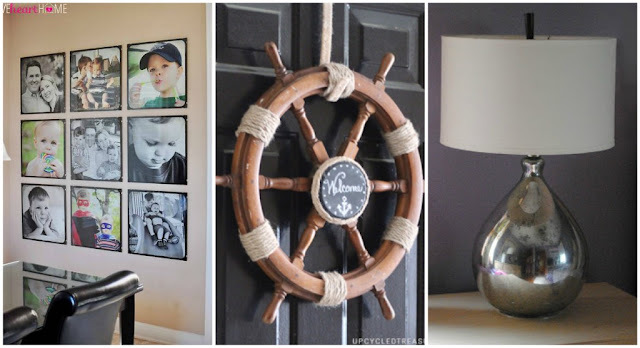 Thank you so much for featuring my nautical wreath and for hosting every week! 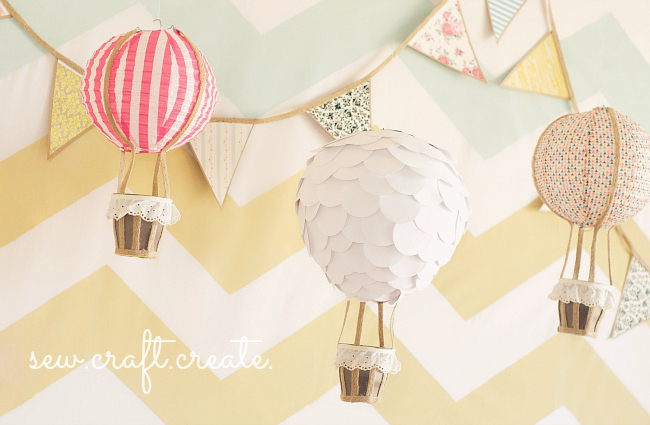 I love the other projects and want to throw a baby shower just so I can make those awesome hot air balloons, oh my gosh are those amazing! Have a great night! Thanks so much for hosting this party! I love your blog! 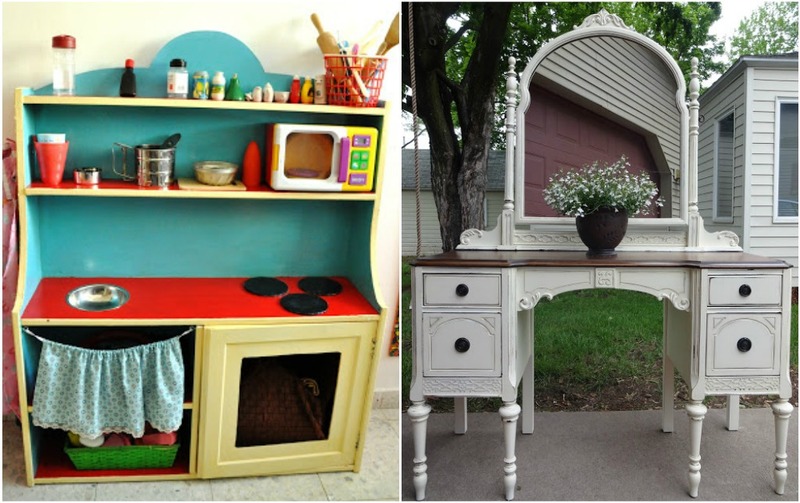 Thanks so much for featuring my play kitchen, Rita! Love this party and your blog! How exciting, thanks for featuring my 1 hour dress! Thanks for hosting such a fun link party every week, I LOVE IT! Thank you so much for featuring our extender slip!! Have a fantastic Sunday! Thanks so much for the party, so many great projects. Thanks for hosting ~ there were so many pretty things to look at!